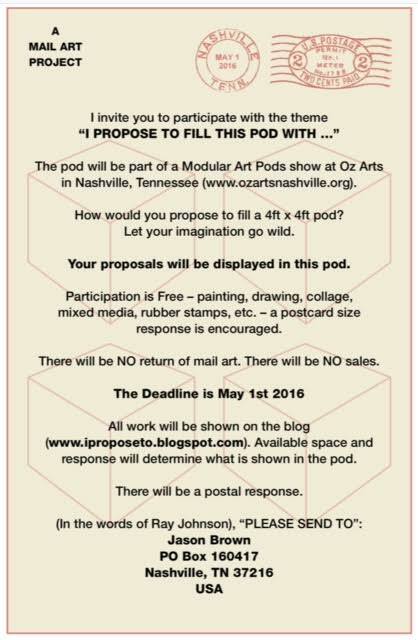 The call for participants for Modular Art Pods at OZ Arts Nashville (June 21-25, 2016) is long closed, but there’s still a way to get your art in the show. Jason has put on several successful mail art shows in the past, including Letter to Me and Reinvention: A Mail Art Show. The deadline is May 1st, 2016. Learn more and submit at the project website. 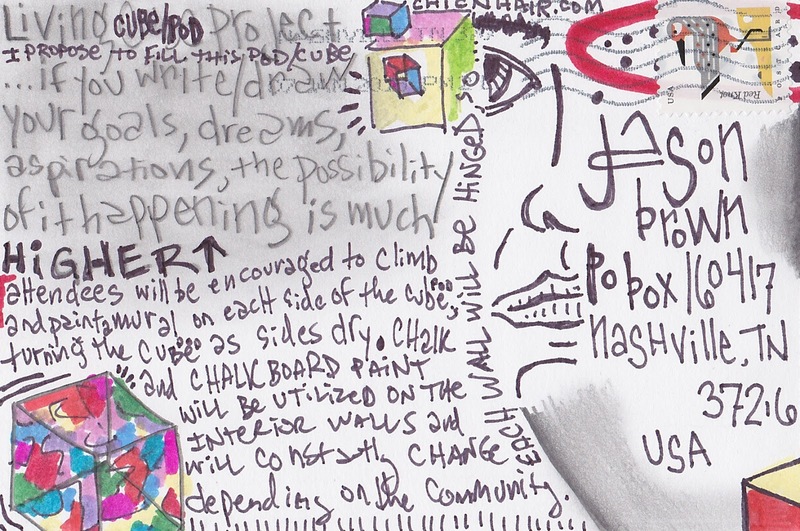 ← Modular Art Pods at OZ Announces Participating Artists!